This one was made around 1915, and tipped the scales at more than $400.00 (list price) which was quite a piece of change in those days! 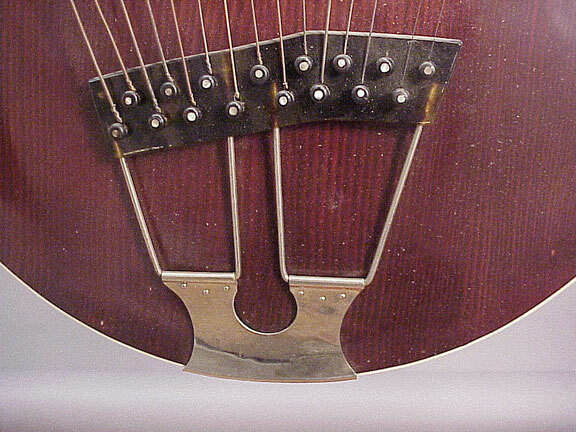 In spite of the high cost, all indications are that Gibson sold quite a number of these behemoths. 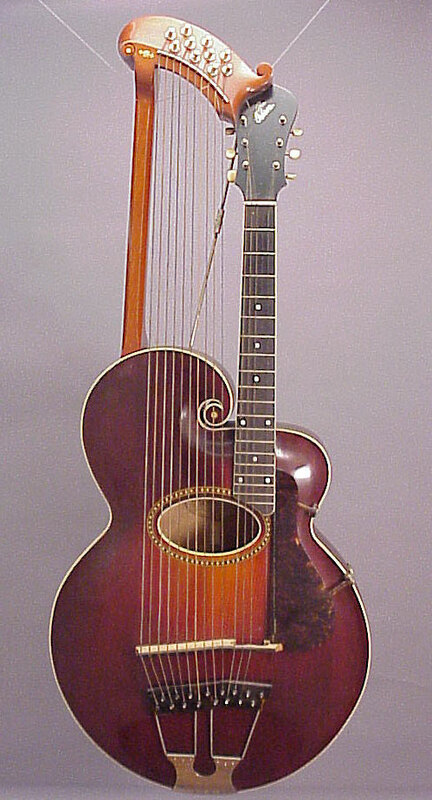 The style "U" ten-string harp-guitar was by far the most common. 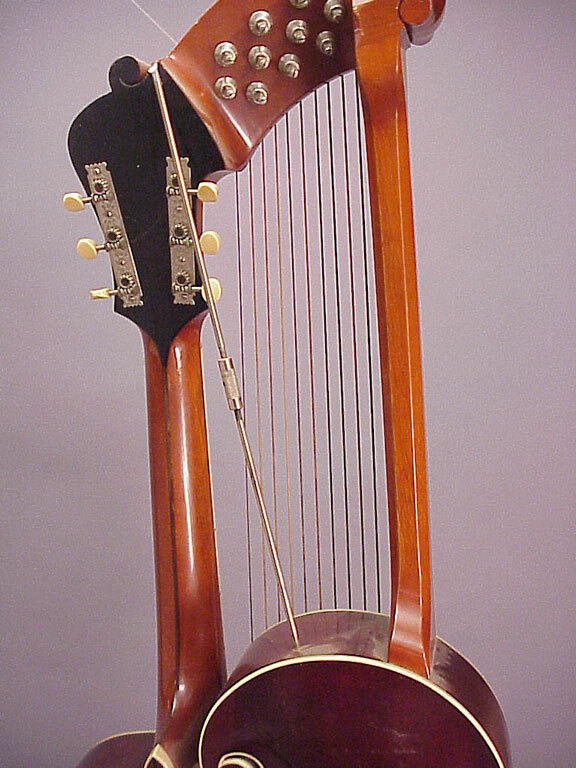 Earlier versions had either six or twelve sub-bass strings. 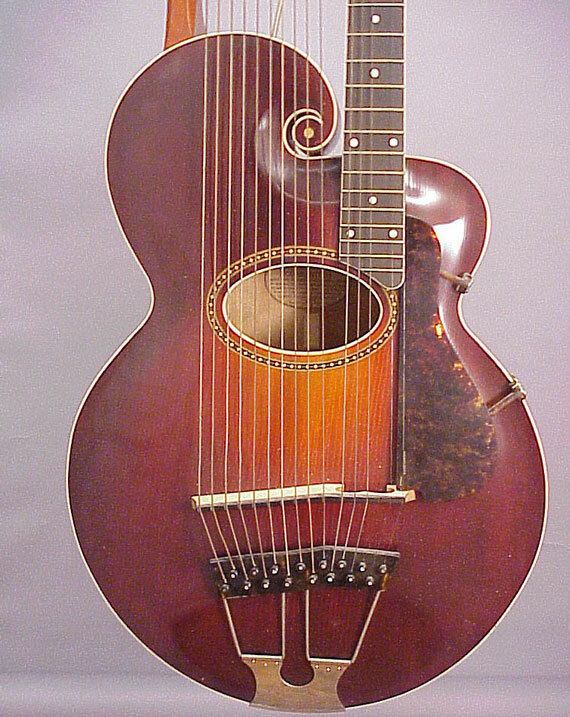 The ten "sub-bass" strings were tuned generally in half-steps and rang sympathetically or were struck for a sustaining bass note. 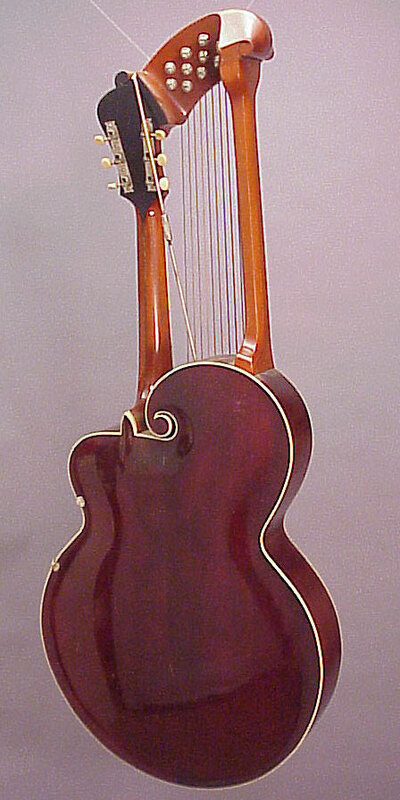 This instrument has birch back and sides, spruce top, mahogany neck and ebony fingerboard. 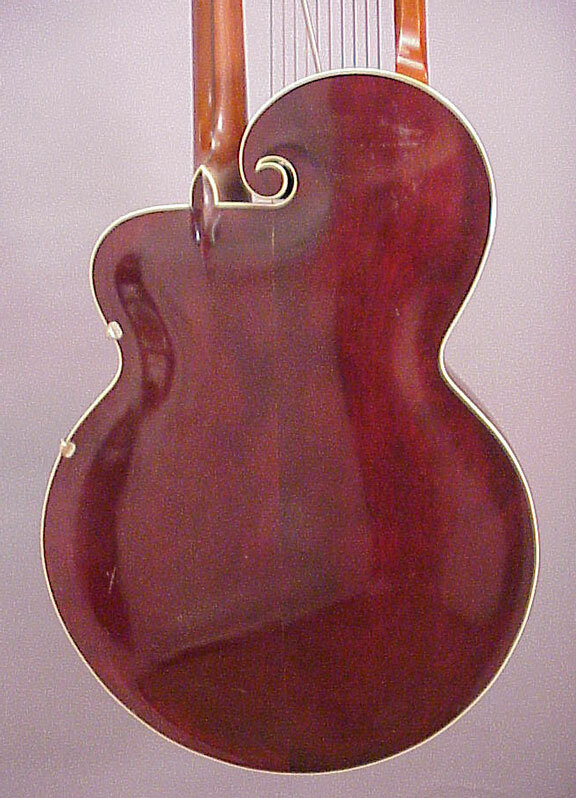 A really big fat celluloid tailpiece that uses bridge pins to hold the ball end strings in place. 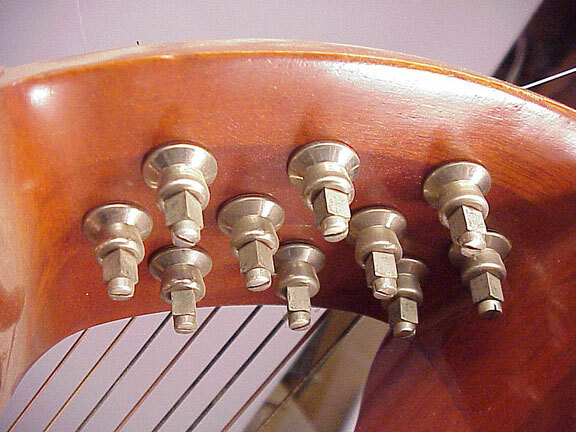 The friction pegs for the harp section. They're reworked "Grover Champion" friction pegs, should you care. 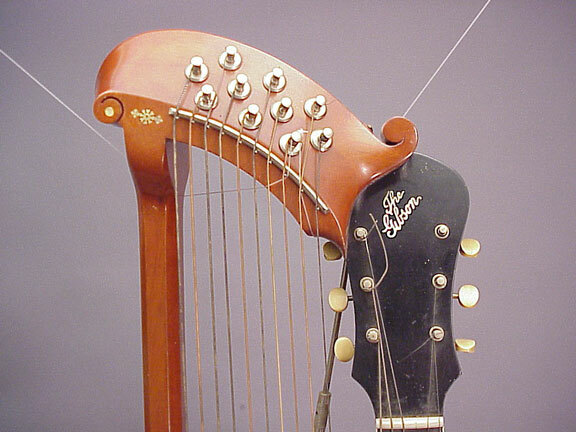 The neck pillar, which actually runs entirely through the body.